DENVER, March 21, 2019 /PRNewswire/ - North American cannabis buyers spent $9.2 billion in legal markets in 2017. Flash forward to a decade from now and the global industry is poised to reach $80 billion with North American consumption leading the way. In this time span, countless industry rookies will enter the industry, vying for their piece of the pie. The growth vehicle driving those who will succeed? Franchising. It is the most viable option for newcomers to become a part of this development, while mitigating much of the risk. ONE Cannabis™ is painting this reality next week for attendees at the Multi-Unit Franchising Conference. 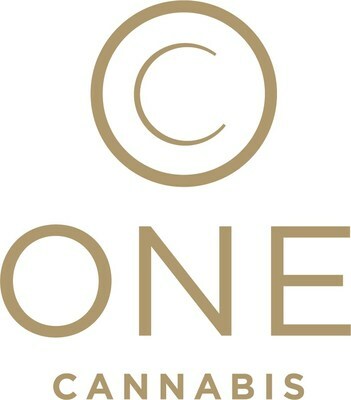 "ONE Cannabis offers multi-unit franchisees the opportunity to diversify their investments and grab stake at the ground floor of a nascent industry, with industry leaders by their side," said ONE Cannabis COO Mike Weinberger, who has two decades of experience in franchising with both large, global franchisors and emerging franchise concepts. "While marijuana legalization is increasing rapidly across the U.S.," he continued, "there are some established markets that are already seeing serious consolidation by large entities. If you've been thinking of investing in cannabis, now is the time to do it. A limited number of dispensary licenses are awarded in each market, so getting in early is key if you have a desired market in mind." ONE Cannabis is a Denver-based cannabis franchisor. The company's cutting-edge franchise offering stems from over a decade of proven cannabis operation combined with decades of franchise experience with industry veterans. With countless industry awards, the marijuana pioneers have now built the world's most powerful cannabis business franchise system. Through its franchise opportunities and SEED program, ONE eases the industry's barrier to entry, making cannabis entrepreneurship more feasible to a broader group. ONE Cannabis CEO and co-founder Christian Hageseth has been named an "Industry Trailblazer" by High Times magazine. His entrepreneurial journey in the cannabis industry is chronicled in his book: Big Weed: An Entrepreneur's High-Stakes Adventures in the Budding Legal Marijuana Business. For more information about the ONE Cannabis franchise opportunity, visit http://ocginc.com.